Aaah thank you so much! It's exciting but also very scary! 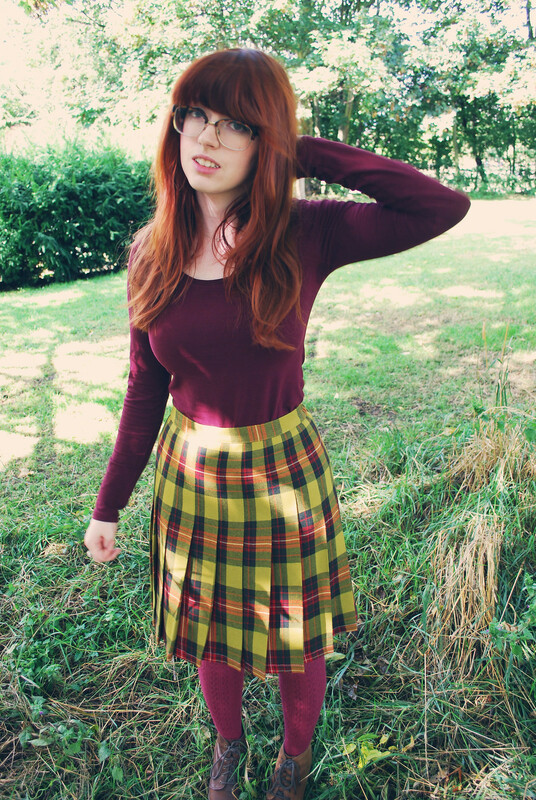 Oh Autumn <3 that kilt is LUSH!! Thanks so much for the mention, was fab meeting you!! I LOVED meeting you (and your amazing bag!) Yay! Thank you for mentioning me! It was lovely to meet you! Candy you are so cute! Good luck with the move and enjoy Cambridge - maybe you could do a post on cool shops/cafes to visit in Cambridge! Yes, I think might have to! I'm also going to make use of Dan's parents' lovely garden and surrounding countryside for some nice photographic backdrops! GREAT GOALS! LOVE YOUR TIGHTS BTW! Haha, thanks!! I have so many burgundy tights, I think they're breeding in my sock drawer! Good luck! That plaid skirt is just precious! Yay, thanks! It's vintage, and has loads of weird labels on the inside, but from the outside it looks just fine! Very inspiring post! I also find fall to be such a fresh start time of year, maybe more than new years? Best of luck with your moving transition, hopefully everything goes smoothly! Oooh, commuting from Cambridge-Eeek!!! Sounds tiring!! Project managing renovations? Is that what you do for a job? Oh gosh no! I work for an education magazine - I mean that we will be project managing the renovation of our new flat! I could never do that as a job! Autumn is my favourite time for getting dresses, I just love the colours and wear them all year round normally haha. I think Cambridge will be just fine, I'm just really not looking forward to being without my cat! We'll have to visit him lots! Oooh, good luck with your move! It's stressful isn't it!? Love your skirt and this whole outfit! You're getting me excited for autumn! 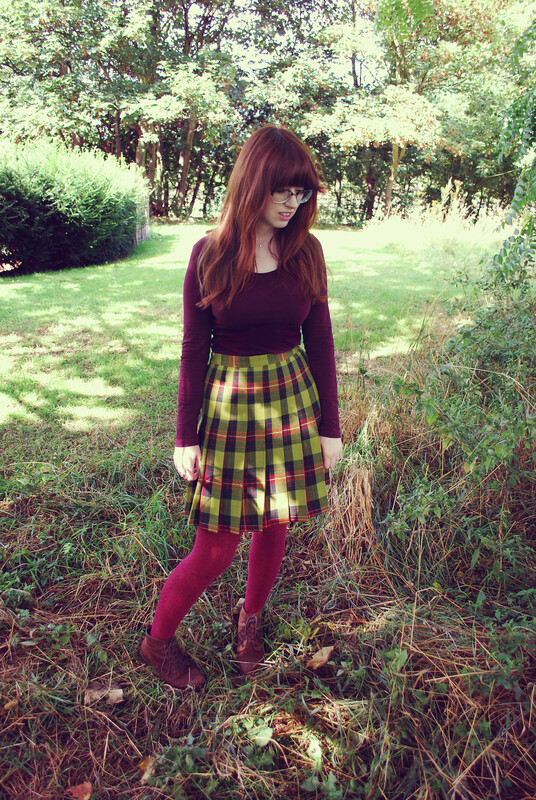 I love the kilt, good luck with moving and everything :) I always get the 'why are you wearing tights in summer?' question haha, it's a bit of a bad habit of mine to wear them all year despite the weather. Not a bad habit! Don't let anyone make you feel ashamed for your cosy legs! It's always great to set goals for yourself! Love your skirt. Just followed you back! 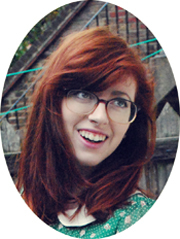 I can't believe we didn't meet - what a shame! Next time eh? Sorry, I have some typing error in the previous comments! so I repost: The maroon color shirts looks good on you!! I love that you treat autumn as a time for change :) it's refreshing to see someone who's looking forward to the cooler months! Sometimes setting the goal is more than half the battle! I have to say I'm exciting for your posts/pics from the countryside! 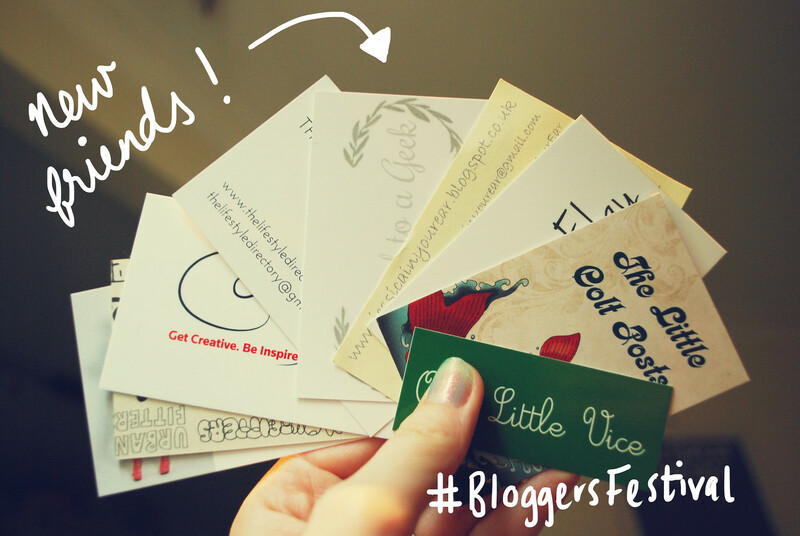 The BloggersFestival is such a great idea--sounds like it was a good experience! Hope you had fun! It was good, yes! And I can't wait to take some lovely photos of the sun setting over all of those rolling fields! Best of luck with your goals! It's coming into Spring in Australia so I better start getting out of this hibernation mode from Winter and start writing resolutions too! 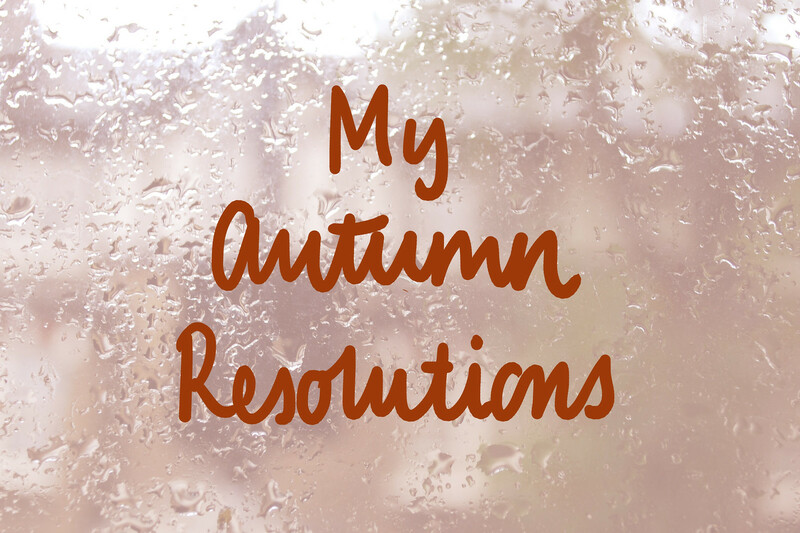 Resolutions for EVERY SEASON! YES! Its very good style look like picture beautiful skirt so pretty thanks for sharing. safety courses|diploma in Industrial safety course in chennai| fire and safety course training chennai|iosh managing safely course in chennai|nebosh safety course in Indiakeep posting.